Is no nut butter safe? Arrowhead and MaraNatha Recall. Peanut butter just doesn’t have a good track record for safety. If you think that sticking with a natural brand keeps you safe, maybe not! The FDA has a full list of recalled nut butters from nSpired Natural Foods. Who’s on the list of recalled peanut butters and almond butters? Check your refrigerator and pantry for the recalled nut butters and throw them away, container and all. For a refund, call 1-800-937-7008, but you may be lucky to get through. I had one of the recalled MaraNatha Almond Butter products in my refrigerator and couldn’t get through after calling several of the phone numbers listed, so I sent a message to MaraNatha via their contact page. Did the recalled almond butter make me sick? I’m not sure. Maybe. Maybe not. I had a mysterious and very unpleasant vomiting episode a few weeks ago around the time I ate some of the almond butter, but I didn’t go to the doctor. I was the only one who ate some of it, and I haven’t eaten any of it lately, thankfully! I just didn’t make the connect. Many cases of food poisoning go unreported. 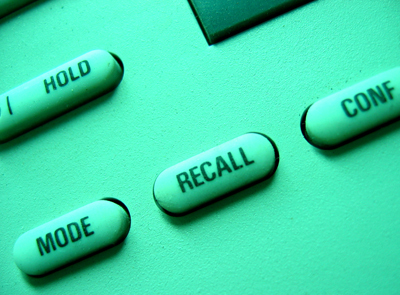 Right now, it’s suspected that four illnesses are linked to these recalled products. I think I’m going to stick with just eating the nuts from now on, or make my own nut butter. How about you?